Measuring the success of your (advertising) campaigns is extremely important. Most marketers use Google Analytics for this, which is perhaps the best (free) analytics software. However, Google Analytics is only useful if you provide (non-Google) campaigns with the right tracking information. You can provide any link for parameters such as utm_source, utm_medium or utm_campaign. For Facebook campaigns, however, you must always enter this manually, and especially if you have many campaigns with different advertisement sets and advertisements, it is rather difficult and time-consuming to keep this accurate. 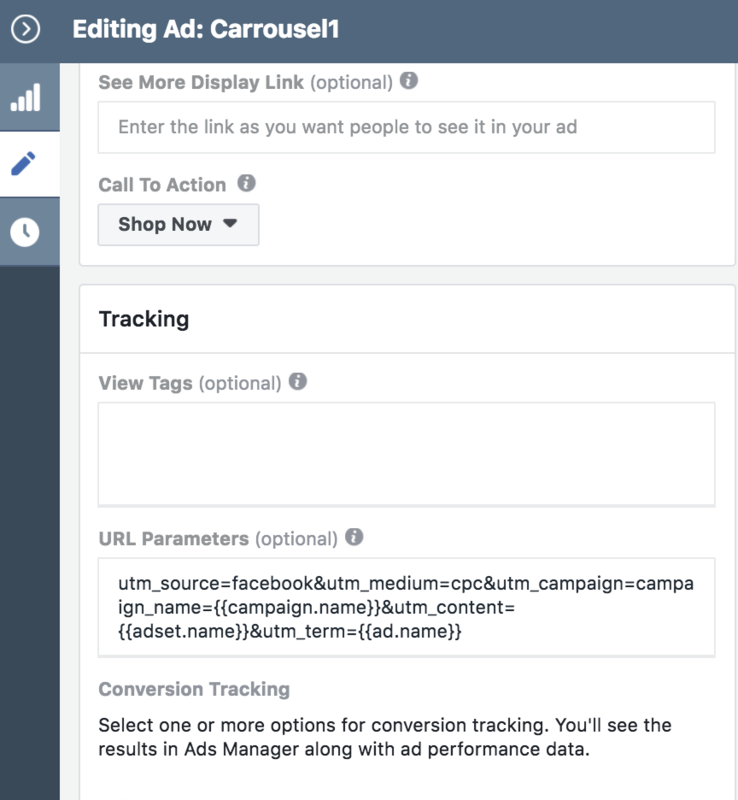 You can now easily make your own tracking dynamic by using the campaign name and other attributes in your Facebook campaigns. Source and Medium are static in this case, because we want this traffic to be seen as “facebook / cpc” in Google Analytics. The rest is then automatically filled in by Facebook itself. A condition for this to work properly is that you use a naming convention for your campaigns, ad sets and advertisements. Do you use a different analytics software? Then you might also use “custom parameters” and use more Dynamic Facebook Parameters in your campaign tracking.